Laser Tagging on the High Seas! The Norwegian Cruise line just opened “The Norwegian Bliss” their second ship with iCOMBAT laser tag on board! Meet Our Newest Addition To The GEN 3 Family! 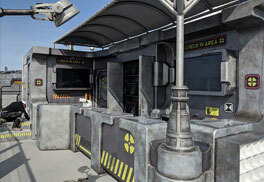 iCOMBAT now provides a fantastic tool for the traditional laser tag market. 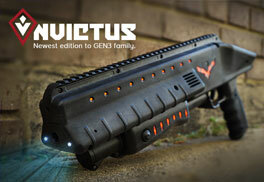 Introducing the Invictus. A sturdy and sleek design that takes into account the most requested features for use in black light indoor arenas. Norwegian Cruise Line has just revealed its newest ship, the Norwegian Joy, set to debut in China 2017. It will serve an estimate of 83 million passengers per year and feature an open-air, laser tag course powered by iCOMBAT. This first-ever laser tag field on the water will have a theme based on an abandoned spaceship using specially cerakote painted ICOMBAT irSMG guns to fit the theme. We are pleased to develop and deliver custom solutions that create laser enterTAGment on land or at sea. iCOMBAT is always looking for the next best addition to your laser tag Solution. 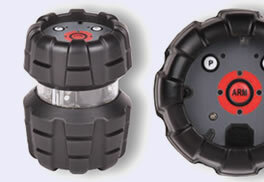 Our latest addition to the accessories department is the irGRENADE. This will add an entirely different level to your gameplay. Safe and durable, with almost no maintenance it will be a BLAST. LIGHTS, CAMERA, ACTION! Watch the replay of the iCOMBAT live streamed Madison tournament. 7 teams are vying for prizes, infamy, and bragging rights, but only 1 will succeed! 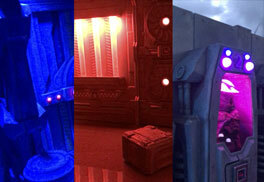 New Laser Tag videos added! 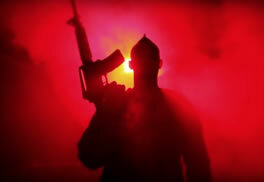 iCombat is the most realistic combat simulation in the world today! ... There are many venues in the world already using the iCOMBAT system. Want to have a peek into some of them? Have a look at our Global Venue Videos! COMING SOON! Originally designed for law enforcement and tactical training, the irPistol now has a twin brother. The NEW Gaming Pistol has been redesigned for gaming venues with increased ammo count and minimal maintenance. The irPistol Gaming version is based on one of the most popular pistols in the world. Never before has a laser weapon of this caliber been created. 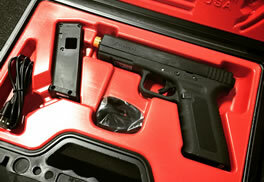 It features a bright muzzle flash, live noise and recoil, real pistol action and ammo accountability with the SmartMag. A software update has arrived with some new features! Check out the details below. Most of the updates that we made were small and help ro overall boost the performance of our software. However, we have also released our Corporate Dashboard feature which allows you to view a summary of all the Dashboard features simultaneously. This will allow you to monitor and access your dashboards with ease. 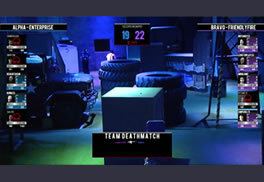 iCOMBAT has been through many changes within the company during its transformation from the new kid on the block to the industry leader in tactical laser tag. The most significant change is that iCOMBAT has created a central corporate headquarters in Waukesha, WI from the original location in Whitewater, WI. This new headquarters has allowed the company to dig in and extend its reach globally by adding new clients from a variety of regions including Australia, South Africa, Holland and the Nordic Region not to mention our new partnership with the LAPD’s Police Academy and the US Navy Seal Team 1! A software update is coming Tuesday, August 4th with some new features! Check out the details below.